I have a notion of someday becoming what might be called a minimalist. I’m far from it at the moment. My family has plenty of unnecessary stuff and clusters of clutter scattered mostly out of sight. My wife and I have not yet committed to a truly deep and wholesale purge, just brief sorties here and there to minimize the spill-over of our typical, maximized American life. However, I think I would make a fine minimalist. I proudly travel very lightly. My product consumption is mostly of the digital sort, e-books and apps being the primary targets of acquisition. I’m no clotheshorse. I have no desire to collect anything that takes up space or needs some sort of shelf of honor. Shopping is my least favorite past time. I’m quick to edit objects out of my life without regret. I’m not particularly nostalgic for memorabilia and am almost cold-hearted in my lack of attachment to sentimental stuff. But I do appreciate the grace of great things. A great thing can spark delight and wonder and enhance experiences in meaningful ways. I am fond of this hat. 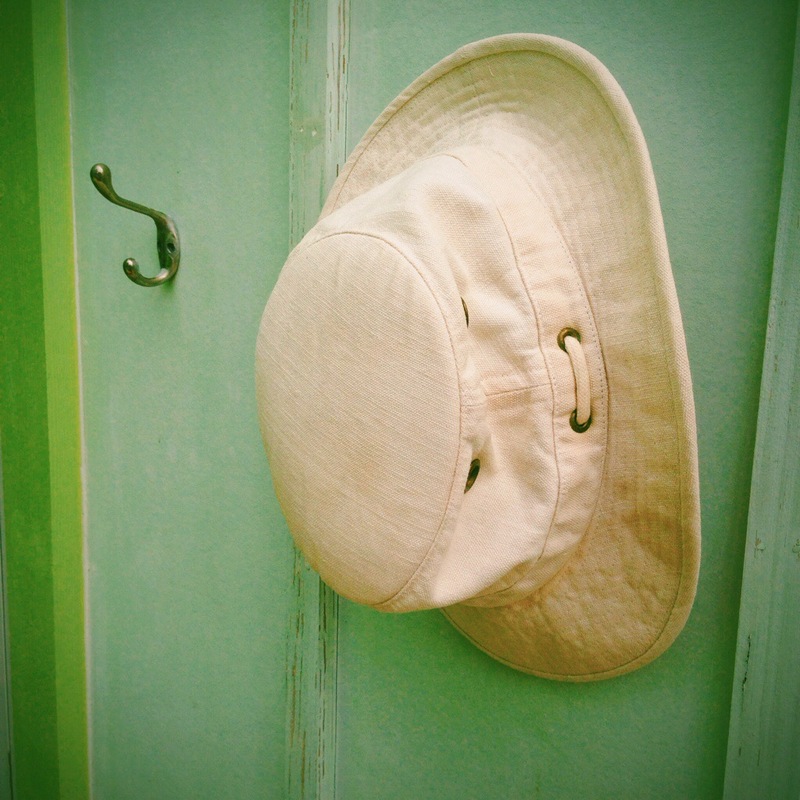 I bought it five years or so ago for a beach trip, and I wear it regularly when I’m going to be outside in the sun or rain for long stretches. It is comfortable and rugged, made of hemp and quick drying after a dunk in the ocean or pool. And it’s got just a dash of style. I think I look good in it, whether anyone else thinks so or not. Just putting it on resets my default to play mode. If the wind snatched it from my head and cast it to the waves, I wouldn’t be sad. But I would order another one. I am grateful to whoever designed and made this excellently crafted hat. It is a great thing that adds an extra bit of joy to my adventures. And there’s this tea cup. Beautiful to admire, a pleasure to hold. 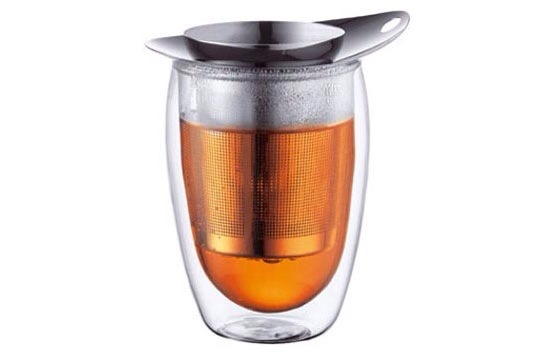 The double-walled glass is ideal for hot tea. I can wrap my hands around the warm brew as well as see the rich color of the tea. The infuser fits perfectly inside. (The infuser that comes with it is fine, but I upgraded to an even better infuser that prevents even the smallest debris of the tea leaves from getting into the cup.) This tea cup is a delightful part of my morning routine. The tea would taste the same from any old mug, but this great cup makes drinking tea a more wonderful experience. Beautiful form and effective function make for an excellent design and a great thing. I don’t want a great quantity of things. I do, however, want the things I choose to have around me to be of great quality. I like the declutterer’s sage advice: Surround yourself only with things you find either useful or beautiful. And it’s truly a great thing if it is both useful and beautiful. May we all produce beautifully useful things in whatever we do.